Destiny: The Taken King is by far one of the biggest expansion pack for the first-person shooter Destiny, released on September 15, 2015 – nearly one year after the release of the original release of Destiny. 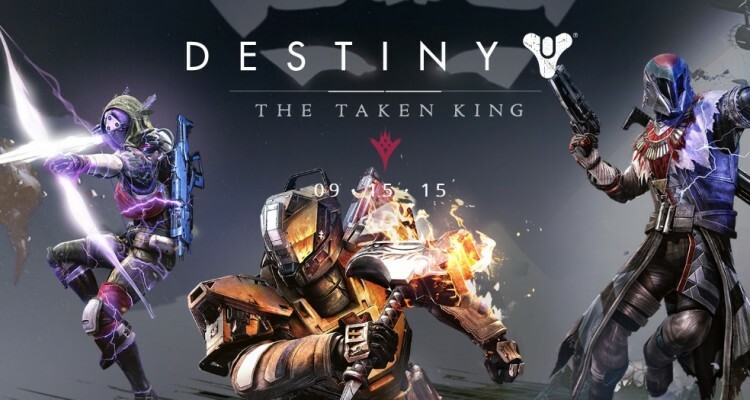 The third expansion of Destiny, follows the Taken King Oryx, whose son Crota was slain by Guardians during the events of Destiny’s first expansion pack, The Dark Below, and formed an army known as the “Taken” – comprised of new versions of existing enemies with new abilities, to destroy them. The expansion adds new playable content across the game, including new campaign missions in a new player versus environment (PvE) area, multiplayer missions, player versus player (PvP) maps, gears, and weaponry. An update delivered prior to the release of The Taken King, which was roughly about 14gb for Xbox consoles and about 17 for playstation consoles, also made fundamental changes to the core functionality of Destiny for all players to mark the start of “Year Two” of its life cycle, in which Bungie said that’ll we’ll see many “Years” to come. It also included a new quest system and revisions to the game’s leveling system among others. Through the development of the Taken King, Bungie also indicated a desire to address criticism from players and other critics – including a greater focus on characterization and a clear story line. There is many sweet “Exotic” weapon, armor, and “artifacts” to collect. The price for the game and expansion pack varies if you would like to buy the Legendary Edition it will be $59.99 and/or the Collectors Edition $179.99 each, including the Taken King downloadable content (dlc) as well as the previous expansions packs with cool new shaders and emblems and even new emotes to fully load out your character.